The option to manually set emblems in Nautilus has been removed starting with Nautilus 3.0. Applications can still add emblems (like Dropbox or Ubuntu One) through libnautilus-extension and gvfs but the option to add them via the preferences dialog has been removed from Nautilus. 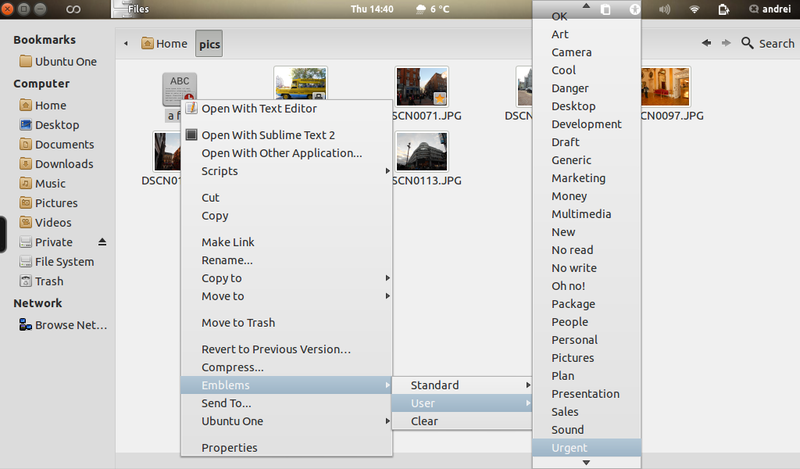 Fortunately, if you really want to manually set emblems in Nautilus 3, there is a python script that lets you do that. 2. Download the python script from HERE (project page), extract the downloaded archive and copy the nautilus_emblems_menu.py file to /usr/share/nautilus-python/extensions/ (To be able to do this, open Nautilus as root: "gksu nautilus /usr/share/nautilus-python/extensions/"). 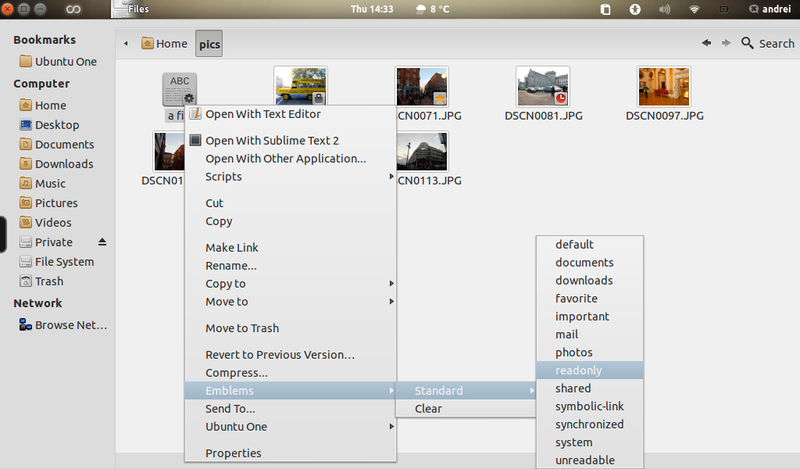 Now when you right click a file or folder in Nautilus, you should see a new item called "Emblems". And add the emblems under "free_desktop_emblems" - you can find the filenames by looking under your current icon theme emblems folder (example: /usr/share/icons/Faenza/emblems/48 - but make sure you're using that icon theme). c) you can directly add an icon theme emblems folder path under "USER_EMBLEMS_PATH" (example: /usr/share/icons/Faenza/emblems/48 - but make sure you're using that icon theme). After making changes to the script, remember to restart Nautilus. If you can help improve this script (like: retrieve the list of all available emblems, add pictures to the menu items, etc. ), contact its author (info in the nautilus_emblems_menu.py file).